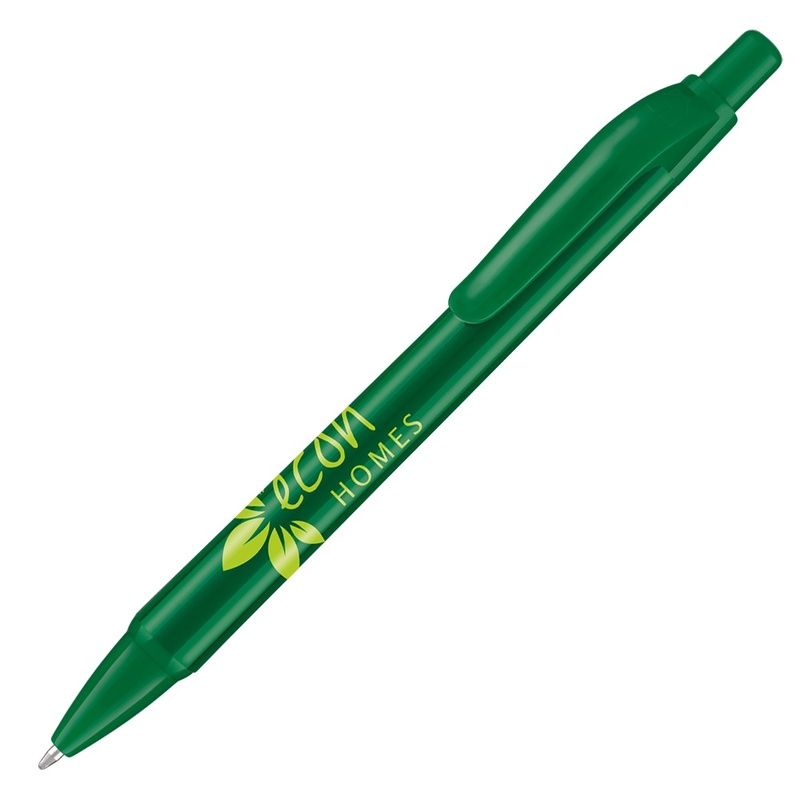 Eco-friendly retractable ballpen made from recycled plastic. This recycling process is set to reduce the use of landfills. Available on a Same-Day Express at no extra cost. Delivery: Our standard lead-time is 5-10 working days from order and it's free.